Want to mix up your own herbal bath salts, blend a custom body oil, create your own natural perfume roller? At our DIY aromatherapy bar, you get to customize your own bath and body products choosing from an array of essential oils, dried flowers & herbs, vitamin rich base oils and more. Choose a mineral rich bath salt blend including pink himalayan, black lava, & epsom salts. Add dried milks like coconut to nourish skin. Sprinkle in some dried herbs and flowers like lavender, rose buds, valerian root, or chamomile. Add sweet orange or bergamot oil and create a beautiful therapeutic bath salt. Create a luxurious body oil or perfume roller with our abundant selection of high quality essential oils. Add them to a nourishing base oil of apricot seed oil, sweet almond, grapeseed and more! Our trained team can help you choose the right combinations for your own therapeutic body products! 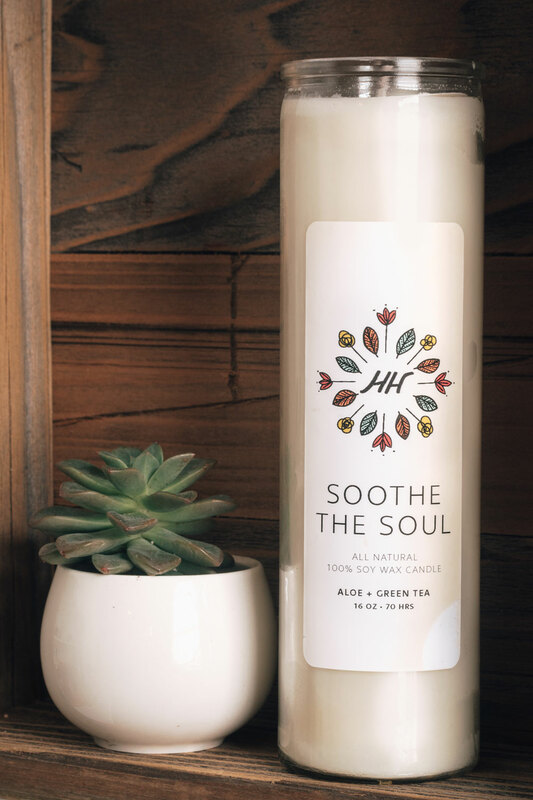 We have more than 40 essential oils including best sellers like Lavender & Eucalyptus as well as hard to find oils such as Palo Santo & Jatamansi. 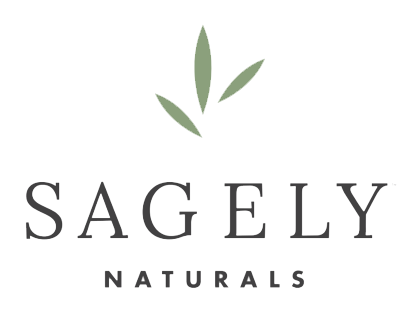 Our featured brands are Florecopeia and Rocky Mountain Oils, some of which are wildcrafted & organic, sourced from small artisan producers, and contain no fillers or adulterants of any type. All are backed by 3rd party GC/MS testing. 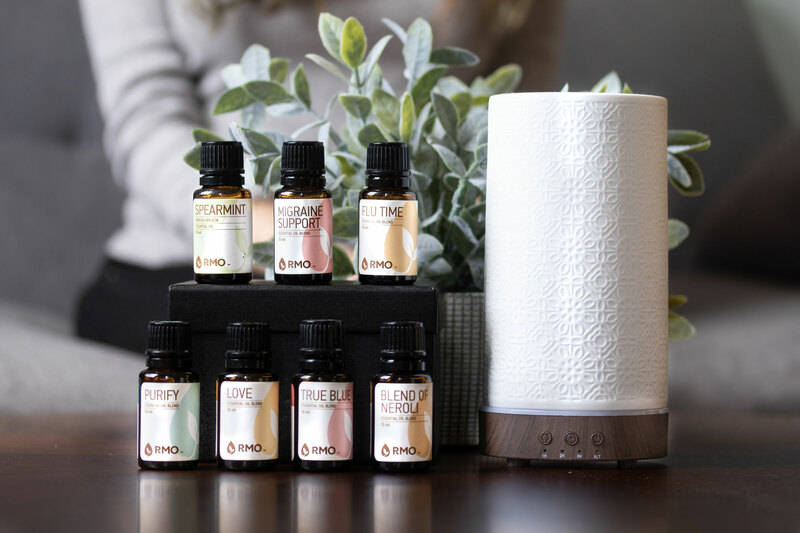 Shop our beautiful ultra sonic essential oil diffusers! Indulge your senses! We carry skin softening bath bombs, natural handmade vegan soaps, mens shaving products, & loofahs. 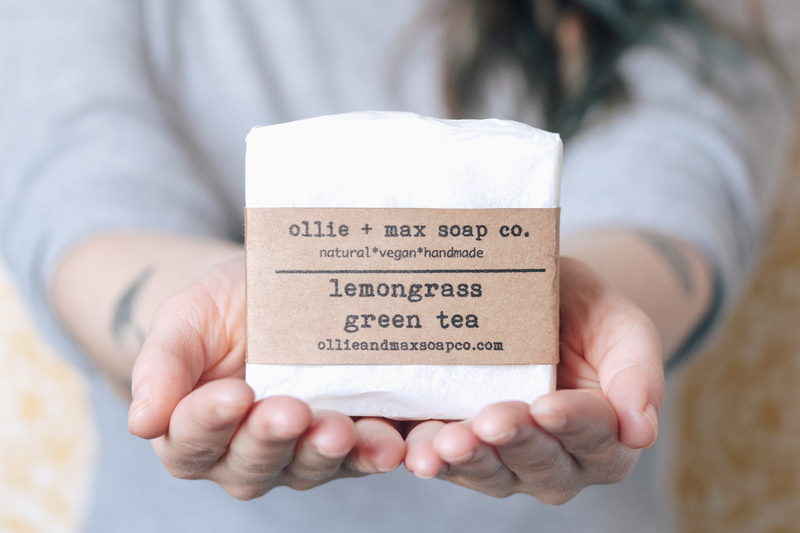 All of our soaps are made with plant-derived oils and do not contain any harsh chemicals or preservatives. Best sellers are: Pineapple Mint, Black Chamomile, Sandalwood Patchouli, and Activated Charcoal. Put an end to dry, itchy skin with our mens shave soap, aftershave and beard oil. Our custom line of aromatherapy products are made with the finest quality essential oils and botanicals by a certified aromatherapist. We carry AromaMist Sprays, Roll-On bottles, Massage & Body Oil, Herbal Salt Soaks, and more. 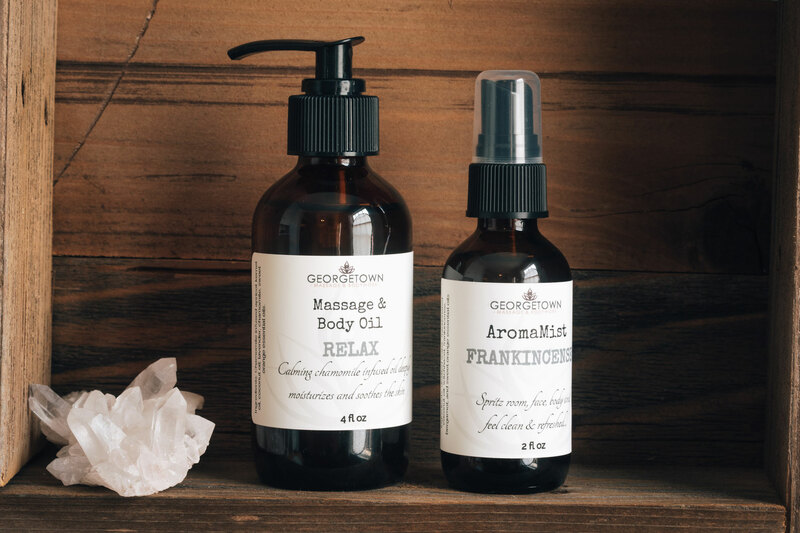 Some of our best selling AromaMist sprays are Frankincense & Sweet Orange, Focus blend, and Night Time blend for its calming, sedative qualities. Our Lavender & Eucalyptus Salt Soak is a customer favorite, used to promote relaxation and relieve muscles aches. What is CBD? CBD (cannabidiol) is a compound found in the cannabis plant. Unlike THC, CBD is non-psychoactive and studies show that ist has many anti-inflammatory and pain relieving qualities. With CBD creams and oils, cannabidiol is absorbed through the akin and soft tissue to support body systems without the psychoactive (THC) component. Enhance any massage service by adding CBD oil. We carry premium, 3rd party tested CBD product brands to ensure the best pain relieving results. Our hand picked selection includes oils and creams, lip balms, sports sticks and patches. We love clean burning, divine smelling aromatherapy candles to create a calming atmosphere for relaxation and focus. 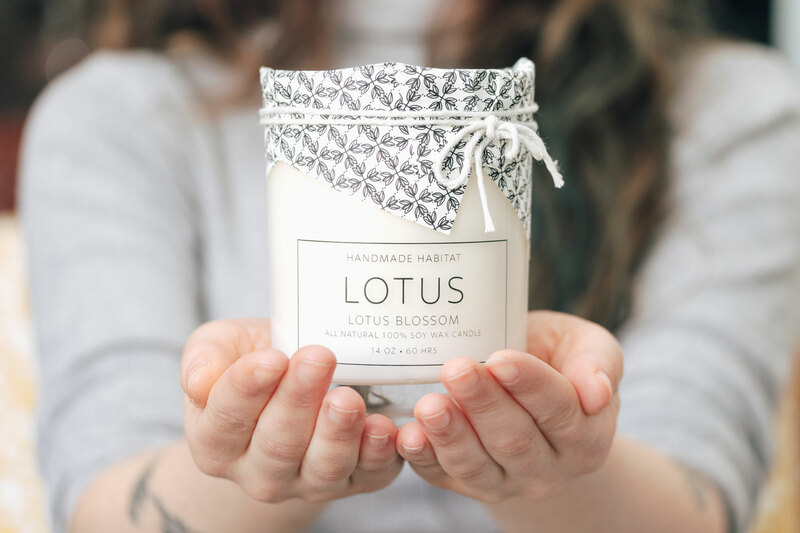 We feature local, handmade candles from Handmade Habitat. All natural, 100% soy wax candles with lovely scents like lavender eucalyptus, rosemary mint, orange bergamot, and sweet peppermint to name a few! Candles + hot bath + herbal bath soak = happiness! 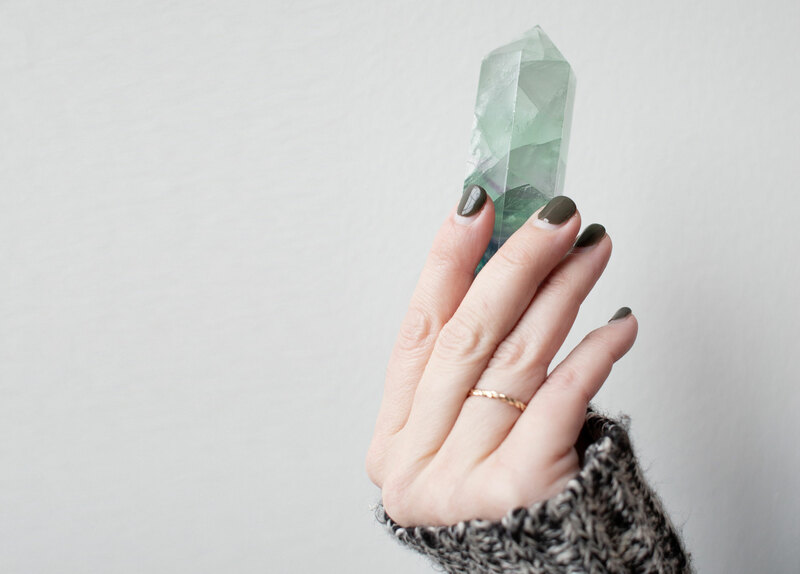 We have a beautiful hand selected collection of crystal points, raw stones, clusters, tumbled stones and pieces including treasures like rose quartz, amethyst, citrine, tigers eye, smokey quartz, black tourmaline and more. Shop our small potted succulents! Each is housed in a ceramic pot with their own personality and will instantly elevate your living or work space.